Coverage: Live on BBC TV, Red Button, Radio 5 live, 5 live sports extra, online, mobile, and the BBC Sport app. 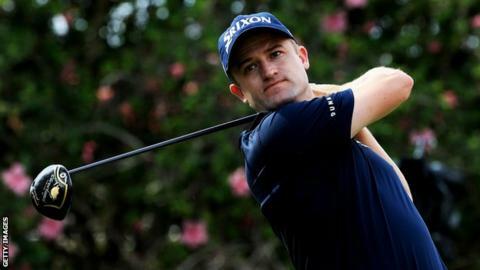 Russell Knox aims to tap into the experience of former champion Sandy Lyle as he prepares to make his Masters debut next week. Knox, 30, has arranged a practice round at Augusta with the 1988 winner. "It's not every tournament you have a fellow Scot and past champion to show you around," Knox told BBC Scotland. "I'm looking forward to it and hopefully he'll give me some great insider tips that he's learned over the years that might help me." Lyle, 58, qualifies as a winner of the Green Jacket, and US-based Knox is the only other Scotsman in the field. Inverness-born Knox leapt up the rankings in November with victory at WGC-HSBC Champions event in Shanghai and is currently No.34 in the world. "I still can't quite believe I'm playing at the Masters," he enthused. "Growing up watching it on TV, now it's my turn to play. It's truly an amazing honour." Knox has had a taste of the other majors, finishing in a tie for 45th at the US Open in 2013, featuring at the US PGA Championship in 2014 and 2015 and making his Open debut as a reserve at St Andrews last year. "I've only been to Augusta once before," explained Knox, one of British golf's most promising players. "It's the most famous course in the world pretty much. Obviously, St Andrews is right up there too. "Being the first major of the year and with all the history, Augusta just has this hype around it and golf is in a great place right now with so many young, amazing players. "There's such a buzz around the tournament. The crowds seem amazing and then there's the condition of the course. "The whole thing is magical, a golfer's dream, and I can't wait to be a part of it."